What's life like during, and after, Wood Badge? After spending a week at Circle Ten’s Wood Badge course at Philmont over the summer, I can tell you this: Wood Badge lives up to the hype. For new Scouters, it’ll jump-start your Scouting career faster than you can say “Be Prepared.” And the many BSA veterans on my course told me it recharged their Scouting batteries more than they ever dreamed. For one of my five ticket items, I chronicled the lessons learned at my Wood Badge course (WB 102, held at Philmont Scout Ranch) in a series of posts called Wood Badge Wednesdays. The five-part series is collected here for your edification and entertainment. I hope you enjoy reading these posts even half as much as I enjoyed reliving the Wood Badge magic. Well, I gotta go! Back to Gilwell, of course! 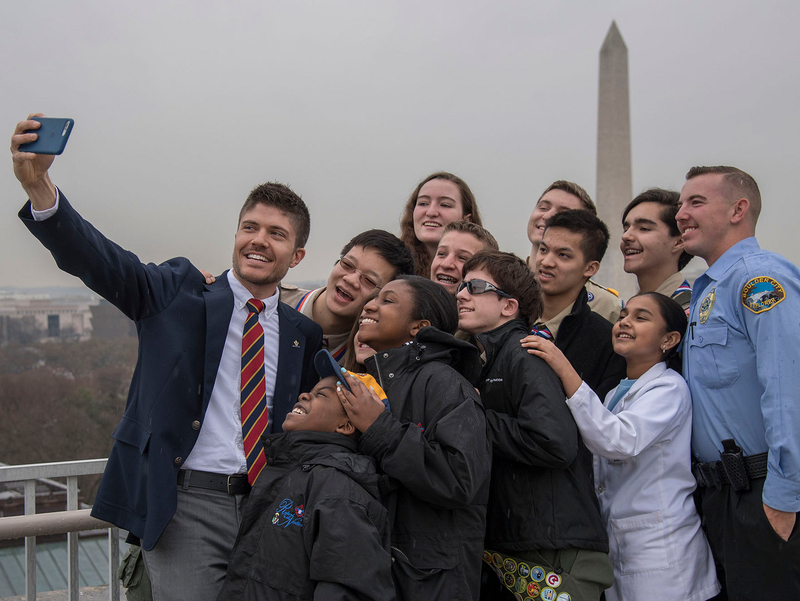 Working at the Boy Scouts of America’s national office, it’s easy to feel a little disconnected from the volunteers who read Scouting magazine. That’s why we encourage and appreciate your feedback about what we do — and how we could do it better. That’s also why it’s vitally important for us to get out into the field as often as possible. Spending a week with some of the most caring, centered, and driven Scouters I’ve ever met reminded me why I do what I do. Meeting these awesome Cub Scout, Boy Scout, Varsity Scout, and Venturing leaders rekindled the fire, helped me drink the Kool-Aid, and did every other cliché you can think of. Let’s just say that my Scouting knowledge was put to the test at the weeklong course. In fact, it was our whole patrol’s BSA proficiency on the line, but I spoke up more than I should’ve. Turns out I was wrong. Three times in a row. Each time I pressed my luck, all I got was another whammy. From that I learned I have a lot to learn — about the BSA, about myself, and about the right way to receive negative feedback. In that failure, I realized what the staff meant when they had explained the day before that “feedback is a gift.” The feedback wasn’t positive this time, but I learned that responding with defensiveness — my fallback approach — would only cloud my ability to accept the gift of constructive criticism. Chalk it up as another way Wood Badge changed me for the better. In Scouting, as in life, change is inevitable. You’ve got new merit badges, new locations for campouts, new roles in your unit, new health and safety regulations, and more. That makes change the only fact of life guaranteed to never change. And these days, both in and out of Scouting, change happens at a faster rate than ever before. Resistance is futile, but how you respond to it is entirely up to you. Let’s say change is a bucking bull; do you: (A) Jump off and run away, (B) Hold on and try to survive, or (C) Grab the horns and steer. In other words, do you resist change, accept it, or lead it? At Wood Badge, we learned how and why to try the third approach. It’s amazing how quickly a whisper turns into a roar. Take Wood Badge tickets, for example. Each one leaves a lasting legacy, but 50, 500, or even 5,000? That kind of impact reverberates across the Scouting universe for generations. At my Wood Badge course in August, 50 Scouters each crafted five tickets. That’s 250 boosts to Scouting in North Texas from our course alone. That focus on Leaving a Legacy is a huge part of the spirit of Wood Badge. I also wrote a feature for Scouting magazine’s March-April 2014 issue that encapsulates the experience. Read it here. Contact your council to find a course near you.